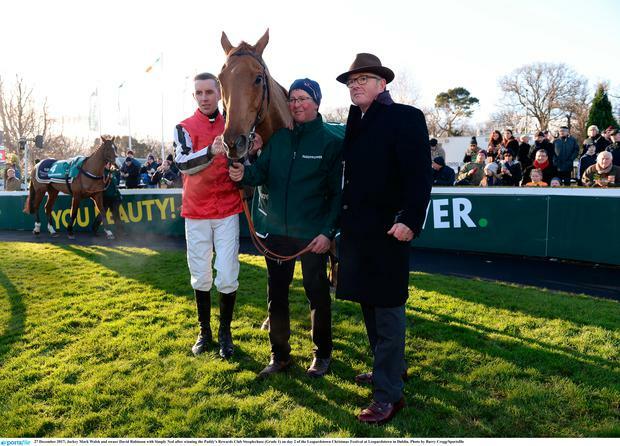 It was a dramatic course of events on day two of the Leopardstown Christmas Racing Festival. Punters were in high spirits as they descended on the South Dublin racecourse for another day of festivities and it did not disappoint, with nail-biting finishes in the Grade One races. 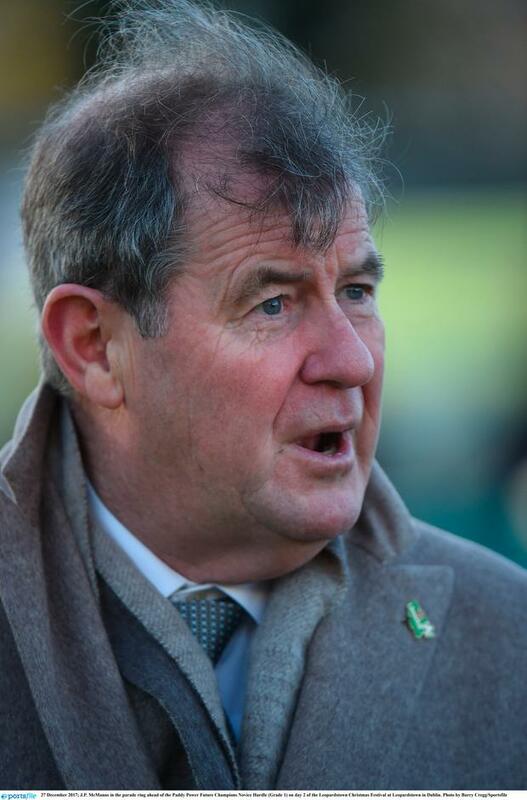 Trainer extraordinaire Willie Mullins suffered a setback in the Paddy’s Rewards Club Steeplechase after his horse Min was relegated to second place behind 16/1 outsider Simply Nedafter a steward’s enquiry which judged Min caused significant interference. However, Mullins came back fighting in the Paddy Power Future Champions Novice Hurdle. The crowds erupted into a chorus of cheers and groans as frontrunners Sharjah and Real Steel both fell at the last hurdle, allowing Whiskey Sour to soar to victory. “The two of them fall individually, it was extraordinary stuff. I was just waiting for them to bring down a third. Whiskey Sour was the fourth of ours going into the race and he ended up winning it, it was an extraordinary race,” said Mullins. The Kilkenny trainer was more sombre about Min being knocked from first place. “What happened, happened and that was it. It’s great to get a winner on the day. What more is there to say? I don’t feel anything. It was tough,” he said. The coveted Paddy Power Steeplechase of €200,000 was won by JP McManus owned Anibale Fly. His daughter-in-law Anne-Marie McManus was all smiles in the parade ring as the trophy was handed to winning jockey Donagh Meyler. “I come to Leopardstown ever year, we are local so this is one of our favourite race tracks," she said. A total of 16,540 punters attended the second day of the festival.